Yes, it’s true, “the times they are a-changin’.” For years people have been saying that “content is king” and most in our industry have heard this. The thing is, hardly anyone really commits to content. The people and businesses that do commit to content marketing reap the rewards. The saying “content is king” used to be mentioned in reference to on-page SEO factors and the idea that lots of content with lots of keywords will help websites rank well and lots of pages increase the likelihood that those pages will get inbound links. One noticeable result of this thinking was the deployment of very large and massive brochure websites that focused on how “advanced” company “X” was or how they were the best. These websites tended to answer who, what, when, where, why and how someone should do business with company “X.” The SEO formula for many of these bulky websites worked. However, many of these websites focused on themselves rather than their visitors and failed to capture and nurture leads. Since people only go to the Internet to solve problems and/or to be entertained these websites didn’t provide visitors with much relevant content. Most of this content was created by participating in content farms, producing shallow content, publishing poorly written content, copying content from other websites, or pushing out content that wasn't useful. 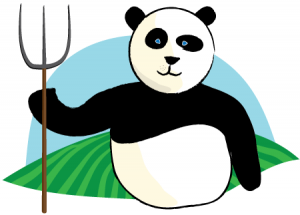 Say hello to Google’s Farmer (aka Panda) search algorithm update. These updates were designed to specifically combat the content tactics mentioned above and weed out those websites that don’t provide useful content. Many websites dropped like a stone on Google’s search engine results page after the update was deployed recently. For at least the last five or six years Google’s Webmaster Guidelines have stated, “. . . make sure your site adds value. Provide unique and relevant content that give users a reason to visit your site first.” In other words, website content should solve problems and/or entertain. . . The Farmer update is a way for Google to enforce what they’ve been saying for years. Companies will no longer be rewarded for producing brochure websites that brag about themselves exclusively. Those websites with content that focuses on the visitor, their problems, and provide real value will see their rankings rise. As a result, the best way to rank well in Google today is with a content marketing strategy. With social media playing such a big role in search today the quality of content is even more important. People are not interested in having conversations around boastful content from a company’s brochure website on Facebook or Twitter. No one cares about how cool or awesome a company claims they are on their website. Instead, people want valuable problem solving or entertaining content they can use, share, comment on and evangelize. Yesterday’s brochure websites have no chance in today’s “social” world of the Internet. Any company can use social media to enhance a sweepstakes, contest or give-a-way, but the only chance a company has of sustaining any type of social media footprint is by deploying a robust content marketing strategy. Just having employees on social media communicating with others is not a social media campaign. Many small to medium size businesses that are in the social media space without a content marketing strategy rely on other people's content to share. That's ok, in fact companies should share other people's content in social media, but not exclusively. Other people's content doesn't convert social media users into leads for the company deploying the campaign. With a content marketing strategy the shared social media posts can be mixed with originally produced, problem solving and lead capture content. This is how social media ROI is measured and good content marketing is deployed. 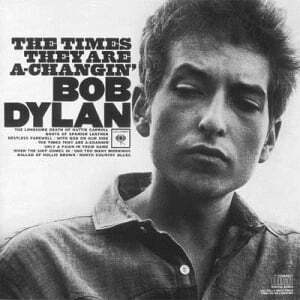 Bob Dylan was right, “the times they are a-changin’,” and now is the time for businesses to commit to content marketing or risk being irrelevant both socially and on Google. Content is still king, but only quality content. Website visitors expect to have their problems solved so companies need to provide problem solving blog posts, white papers, ebooks, how-to’s, videos, guides and any type of content that will help their visitors. With marketing and media shifting to the Internet companies that don’t embrace content marketing will risk becoming irrelevant.